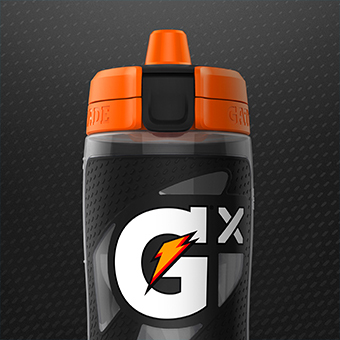 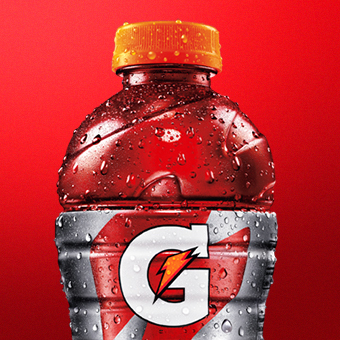 As a champion of athlete fueling and recovery, Gatorade is always hunting for the next big win. 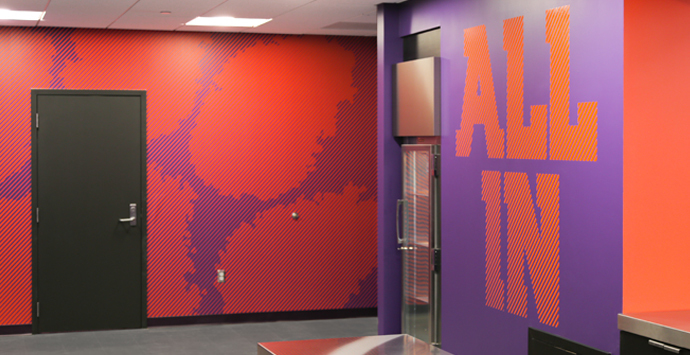 So, when they realized athletes weren’t getting the full support they needed from elite training facilities – namely, nutrition – they tapped Tether to find a fix. 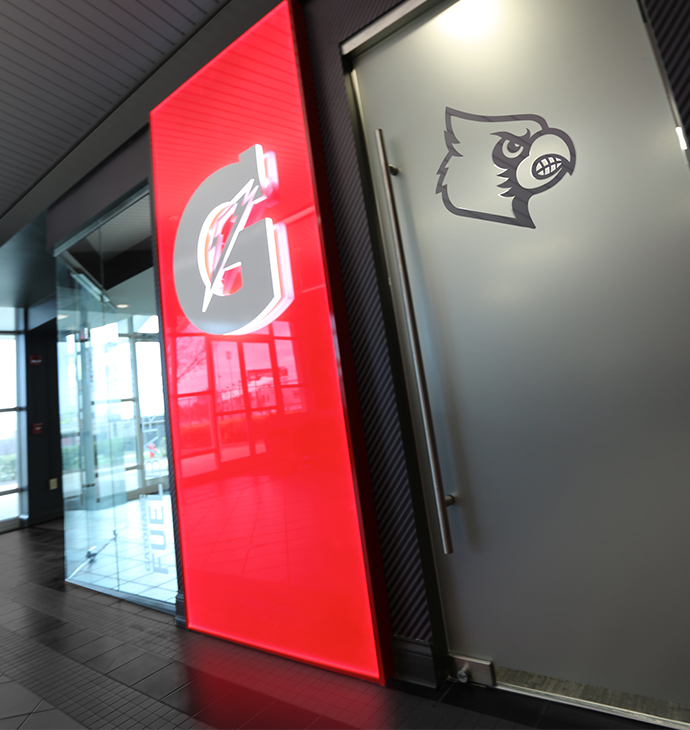 Elite training facilities rely on every tool in their box to get athletes to commit. 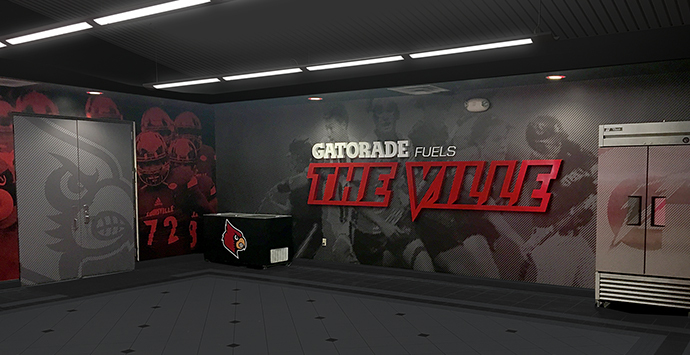 Whether it’s at the collegiate level or pro, the entire experience is factored in when athletes make their decisions. 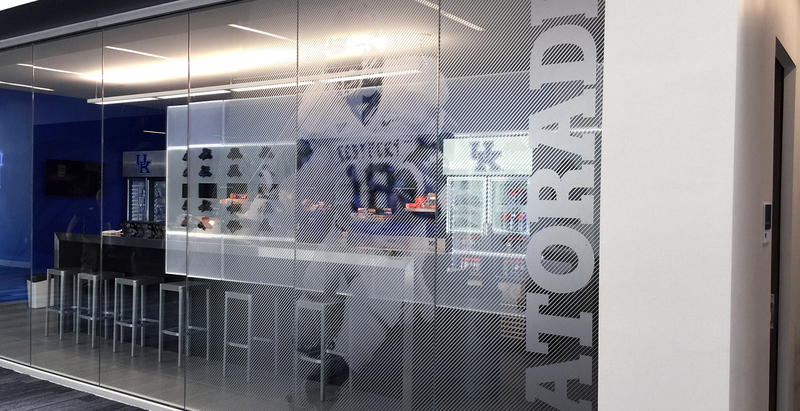 As these facilities leveled up—revamping weight rooms and overhauling practice fields—it was clear that there was still one area that was overlooked: performance and recovery. 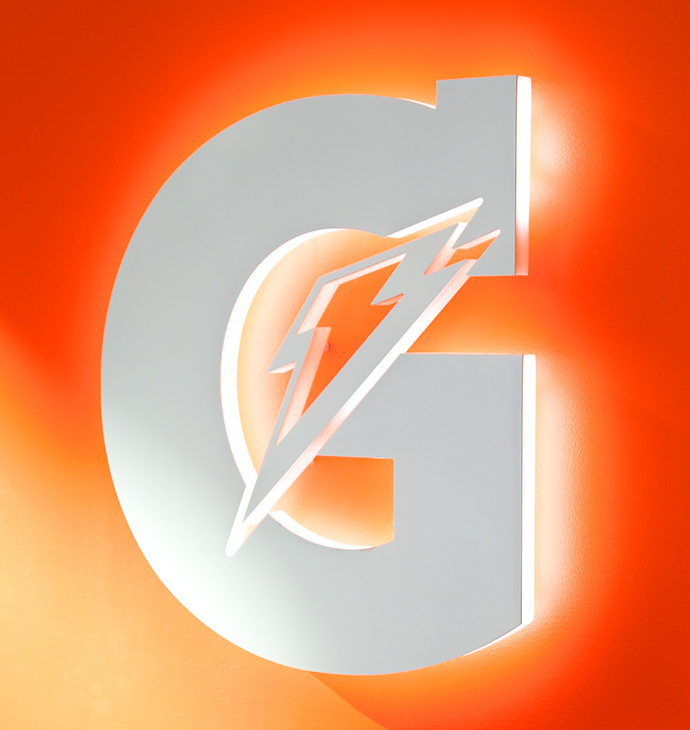 Gatorade had the perfect opening to introduce the Fuel Bar. 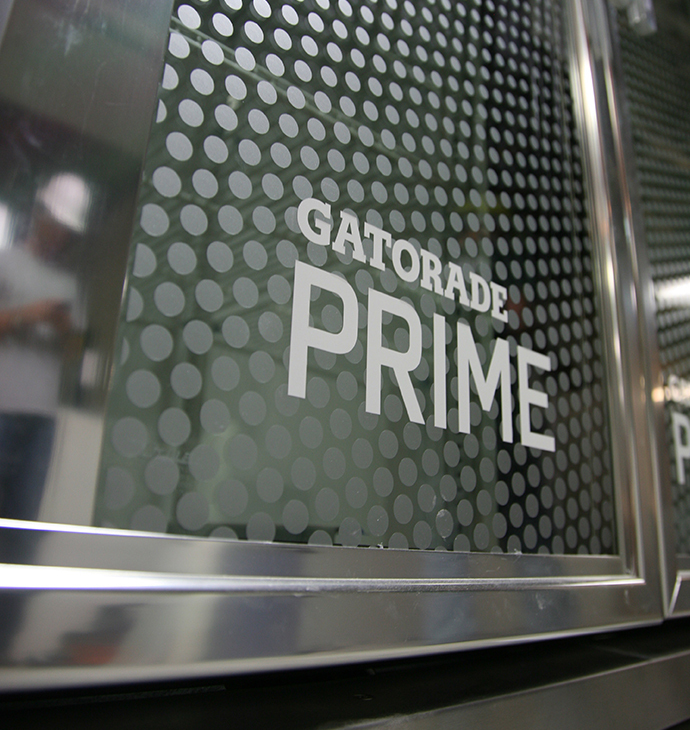 We knew we had the opportunity to create something special. 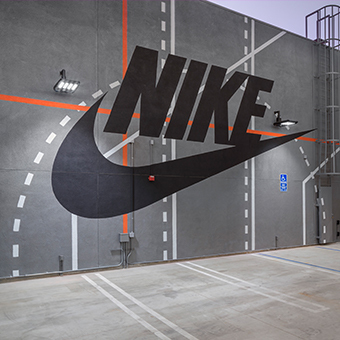 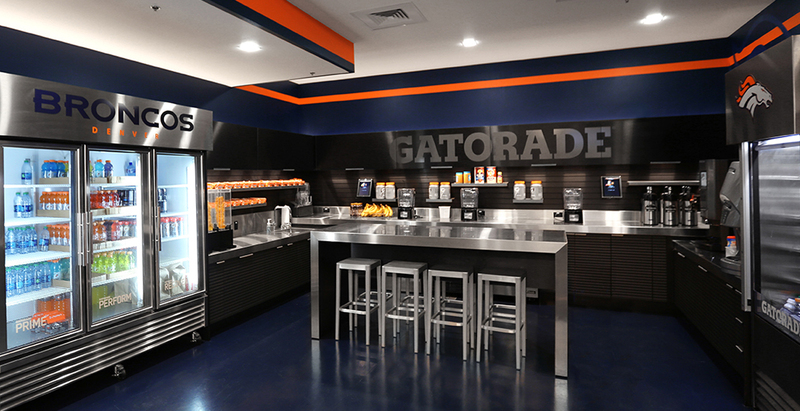 First and foremost, we needed to deliver on Gatorade’s goal of “benefitting the athlete at the point of sweat.” For this assignment, that meant building the Fuel Bar strategically between the locker room and the field, court or training room. 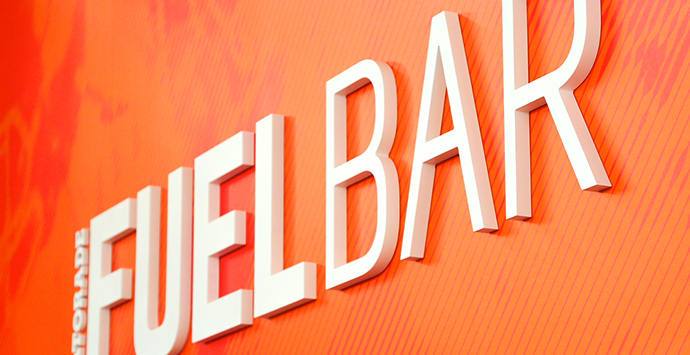 True success would be measured by the Fuel Bar’s capabilities for expansion. 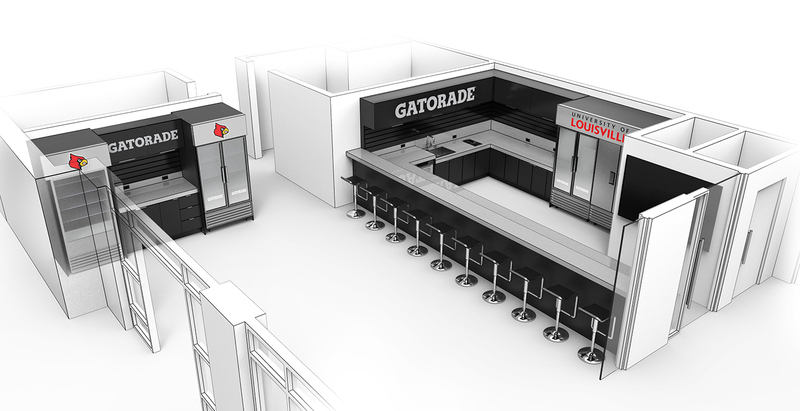 To support athletes (and build Gatorade brand equity) nutrition stations would need to be designed to accommodate training facilities across the country. 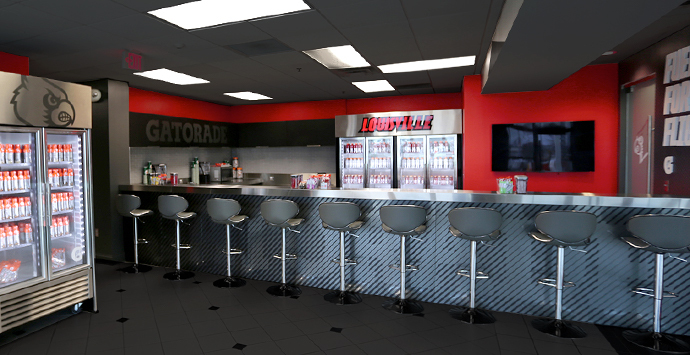 Not only would the Fuel Bar need to be flexible enough to work in training facilities everywhere, it would need to be strong enough to withstand heavy use day in, day out. 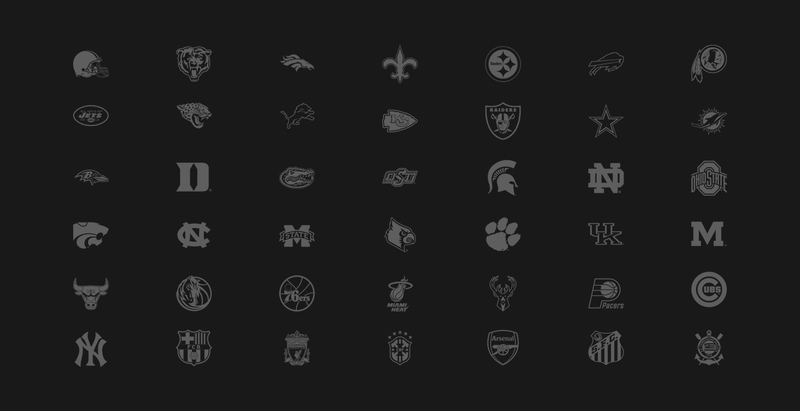 So, the Tether team got to work. 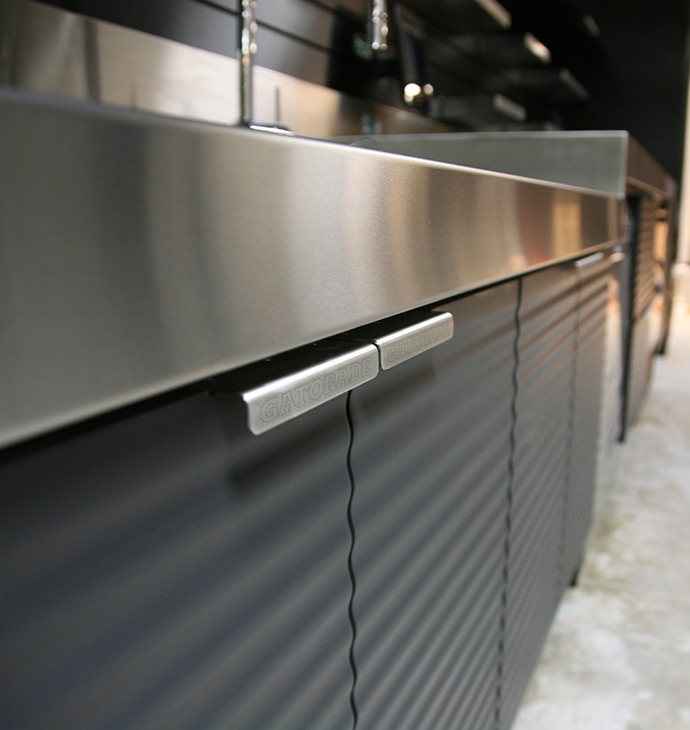 We created a modular system encased in stainless steel and packed with the toughest commercial-grade equipment. 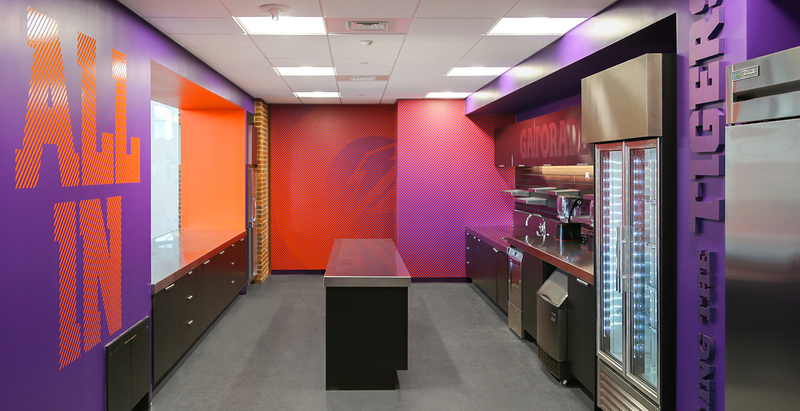 To ensure the Fuel Bars felt like part of the athletes’ complete training system, they were designed with sleek, neutral look ready for each team’s expressive touch. 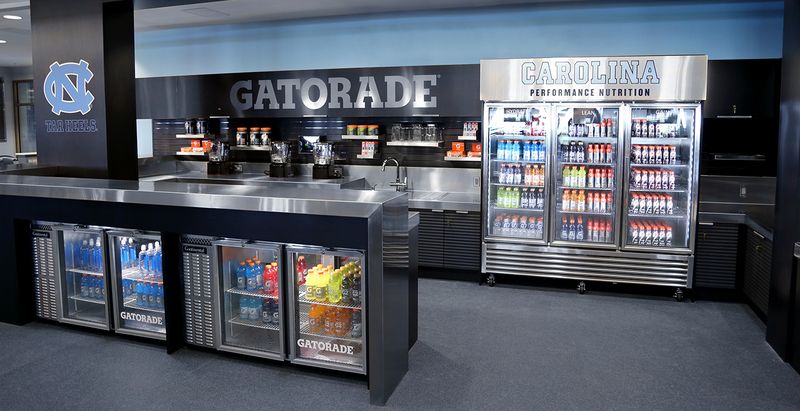 Adjustable shelving and transparent cold-cases show off product, while ribbed cabinetry tie subtly back to classic Gatorade design elements. 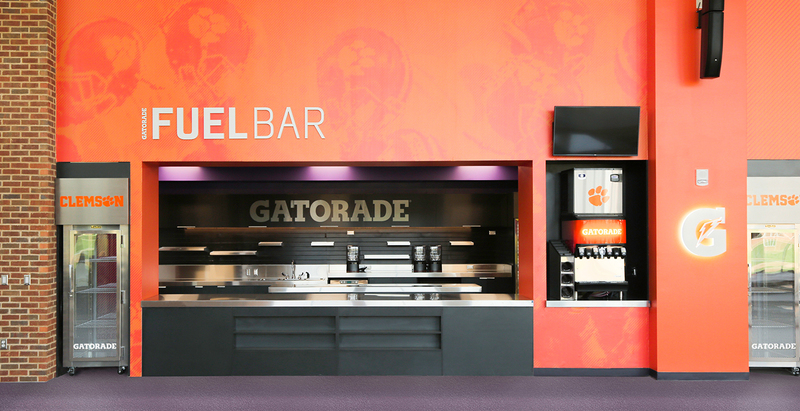 We finished our first Fuel Bar in time for Super Bowl XLVII. 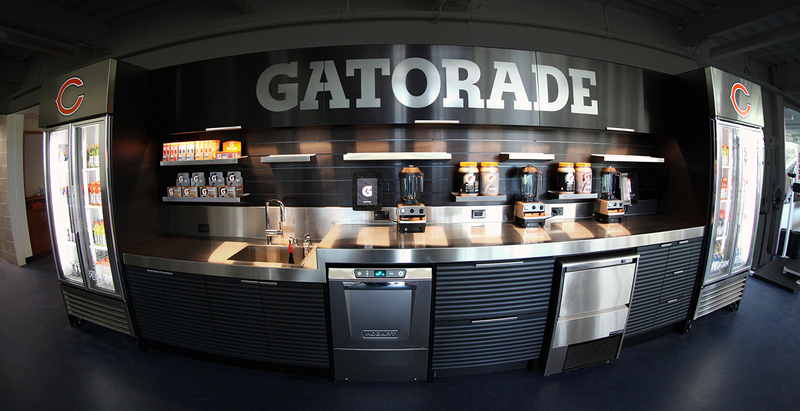 Install at the New Orleans Saint’s training facility made Gatorade an integral part of athletes priming, performance and recovery for the biggest game of their lives.